2019 – Off with a bang! Happy new year! It’s been a busy start already, and this year I am hoping to speak to you more often and share with you some of my adventures out and about in Clown land! This entry was posted in News and tagged Children's Entertainer Bridgend, Children's Entertainer Caerphilly, Children's Entertainer Port Talbot, Children's Entertainer Swansea, Childrens Entertainer South Wales on January 20, 2019 by Mr.T.Ricks. Yesterday, for those who came to the Easter Egg Hunt in Porthcawl you would have seen me and the Punch & Judy booth near the Museum. For the duration of the event I was offering free glitter tattoos for those on the hunt for the special eggs, and it was very busy indeed. During this time my good friend Idris the Dragon was in the booth generally causing mayhem by barking at dogs, and talking to anyone who would listen! He made up for his trouble making by offering out free chocolate eggs to those who were still looking for the special ones hidden around the town. Idris was also chosen this year by the Easter Bunny to hand out a star prize to one very lucky child. We tried to get a photo of the Easter Bunny, but Idris still managed to Photobomb it! – he’s such a pesky little dragon! We had a great time down in Porthcawl and will hopefully be back down there later in the season. 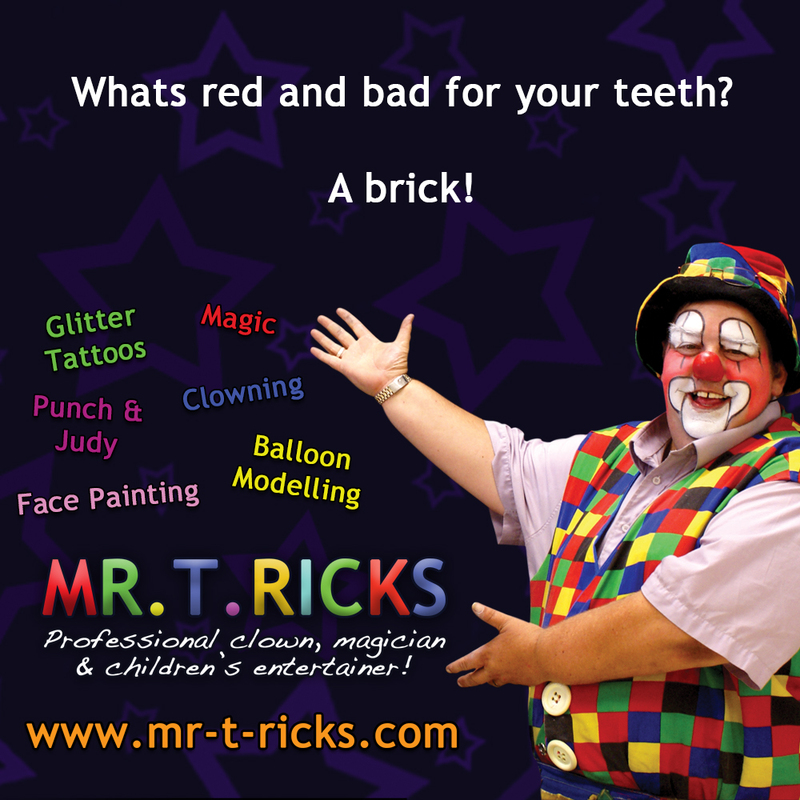 This entry was posted in News and tagged Children's Entertainer Bridgend, Children's Entertainer Porthcawl, Easter, entertainment, Mr.T.Ricks, Porthcawl on April 9, 2017 by Mr.T.Ricks. 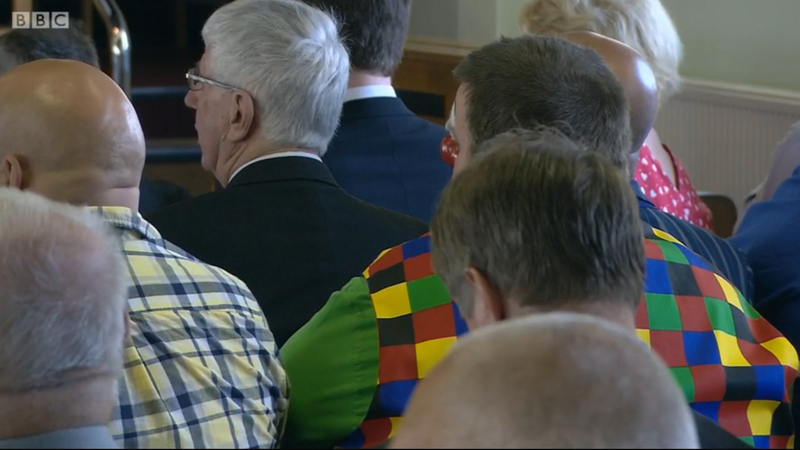 You may have noticed me on BBC1 last night in full slap and motley. However, I was not out performing, but instead paying my last respects to a good friend and fellow magician – Viv Davies a.k.a. Mysteeny. 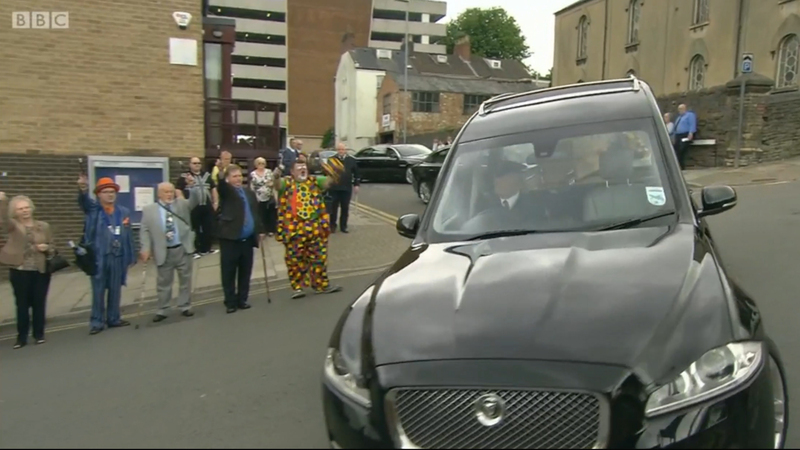 Viv’s funeral was being filmed by the BBC for the programme “A very Welsh Undertaking” and, at the request of his widow, all Magicians and entertainers attending were asked to arrive in bright colours, or their performing attire. 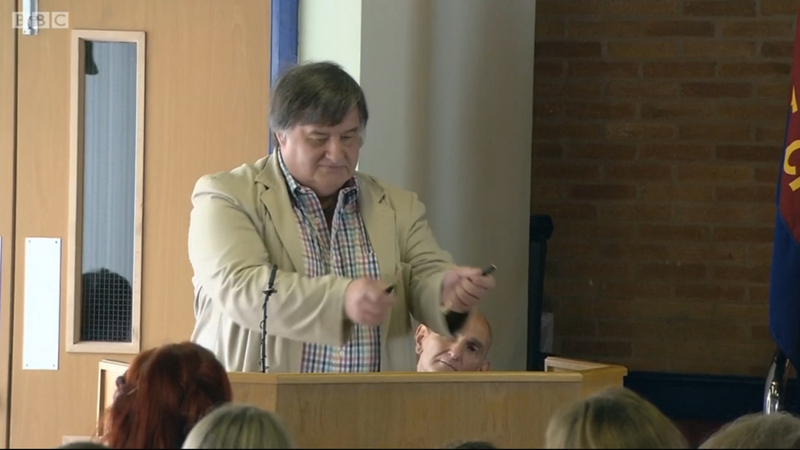 As a Magician the service also included a section known as the Broken Wand Ceremony. This tribute, led by our joint friend and fellow conjurer David Holmes (Sebastian), featured the wand belonging to Viv being ceremoniously broken, to symbolize the end of Viv’s performance, and that his true magic may continue in the hearts and minds of those who knew him. 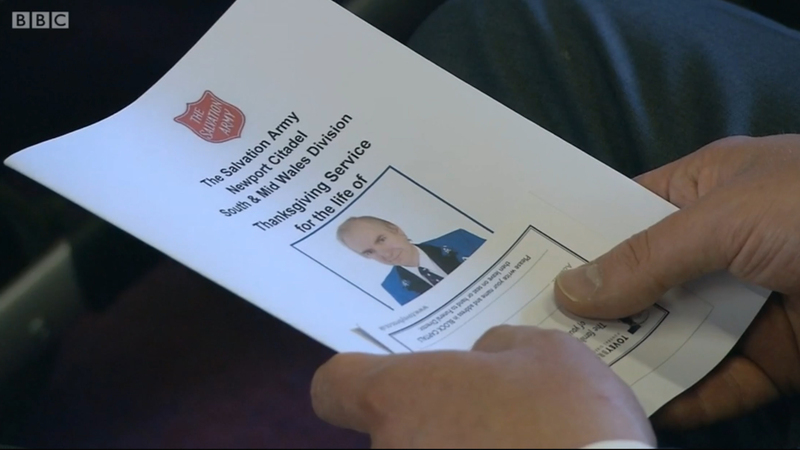 Only a small portion featured in the programme and the full service can be read here for those who are interested. It is a fascinating read, and one which I have always found to be very powerful. The service concluded with all Magicians in attendance providing our final farewell to a fellow conjurer: a guard of honour with Magic wands held high. If you would like to see the full programme, it is currently on the BBC iplayer and can be viewed for the next few days here. Goodbye Viv – Rest In Piece. This entry was posted in News and tagged broken wand, Mr.T.Ricks, newport on November 4, 2015 by Mr.T.Ricks. Just to let you all know that I appear to be experiencing problems with my landline telephone number and some people are having trouble getting through. Obviously with lots of parties, events and fetes coming up in the next few weeks this is not ideal! Hope this helps, and look forward to hearing from you. This entry was posted in News on May 23, 2015 by Mr.T.Ricks.